PixL Family Movies and New Premieres!!! 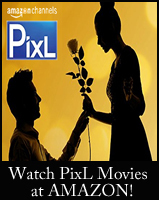 If you get the PixL movie channel, then you know they play family movies 24-7 - commercial free. And, every month they premiere a new family movie! 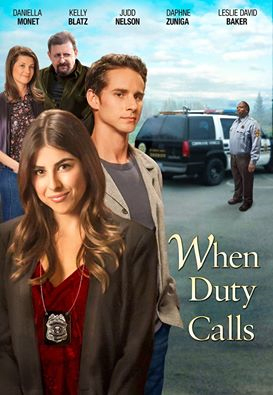 *When Duty Calls premiered January 2, 2016 on PixL. *UPDATE: This movie premiered March 2, 2017 on Hallmark Movies & Mysteries! Newlyweds Ellie (Daniella Monet) and Martin Skopic (Kelly Blatz) have reached a roadblock in their careers. With Ellie unable to get placed on her local police force, and Martin recently laid off, they are required to move into a retirement community with Ellie’s parents, Gary (Judd Nelson) and Carol (Daphne Zuniga). With hopes of being hired at their local police department, Ellie volunteers for the Sheriff Support Team Volunteer Cadet Program. While patrolling the neighborhood Ellie encounters a home invasion, and contrary to protocol, decides to try to track down the intruders. Against orders, Ellie continues to investigate the string of neighborhood robberies. In the meantime, Martin announces he was offered a position at a prep school in Maine. However, he’s taken aback by Ellie’s lack of enthusiasm at his news. With Ellie’s life in jeopardy she must find a balance to save the neighborhood and her marriage. 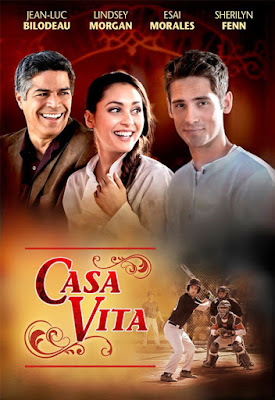 *Casa Vita premiered February 6, 2016 on PixL. *UPDATE: This movie premiered September 6, 2016 on Lifetime Movie Network! Iowa farmer Early Lindstrom (Jean-Luc Bilodeau) receives an invitation to attend a Major League baseball camp in Los Angeles. New to town, Early is invited by teammate Beto to his family’s Mexican restaurant where Early is immediately smitten by the chef, Ariana (Lindsey Morgan). Wanting to get close to Ariana, Early applies for the prep cook position. Against Ariana’s wishes her father, Rodrigo (Esai Morales), hires him. After a cold start, their relationship softens when they learn they both share a strained relationship with their fathers. As they grow closer, Ariana reveals to Early that she is secretly planning on opening a restaurant. When Early makes the team he receives a congratulatory kiss from a flirtatious agent, Taylor. Things are looking good for the pair until Early suffers an injury on the field that threatens to destroy his career and send him home to the farm. *Change of Heart premiered March 5, 2016 on PixL. *Secret Summer premiered April 2, 2016 on PixL. 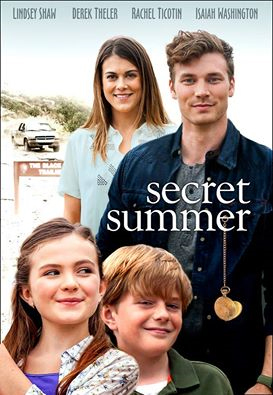 *UPDATE: This movie will premiere June 1, 2017 on Hallmark Movies & Mysteries! Please note: I do not personally have the PixL station, therefore I have not previewed any of these movies above, although this station is known for playing family safe films! PixL's commitment to viewers reads: "PixL guarantees you'll never find bad language or inappropriate content in any PixL programming... just 100% high-quality, family-friendly Hollywood entertainment." If you don't have the PixL channel - be sure to request it! Dish-TV carries it and so should DirecTV and other cable providers! You can also watch PixL through their on-line youtube channel for a small fee. Click here to check it out. Click here to contact DirecTV via Twitter and Facebook. Or give them a quick call at 1-800-507-2716 and request PixL. Behind the Scenes on PixL Movie "Sisters of the Groom"!!! As I shared in a previous post, PixL is a channel that "guarantees you'll never find bad language or inappropriate content in any PixL programming... just 100% high-quality, family-friendly Hollywood entertainment." 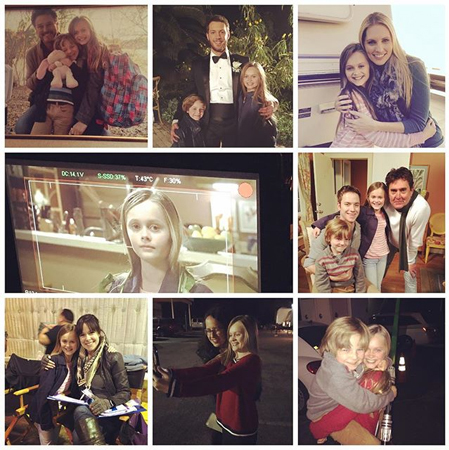 Plus, you are sure to recognize many actors and actresses on PixL from various other TV projects and Hallmark movies! 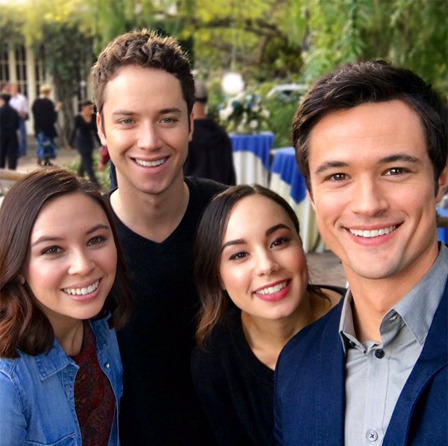 starring Matthew Atkinson (The Young & the Restless, Jane By Design), Jeremy Sumpter (Peter Pan, Friday Night Lights), Malese Jow (The Flash, Big Time Rush), and Savannah Jayde (Big Time Rush), Annie Tedesco (Granite Flats), Aynsley Bubbico (Hart of Dixie)... among others! Hope you enjoyed this look ahead to an upcoming PixL movie! Remembering Actress Patty Duke... "To Everything there is a Season..."
I know we were all saddened to hear of the sudden, recent passing of actress Patty Duke, on Tuesday March 29th at the age of 69. She was wife, mother, and actress on stage, television, and film. Patty was born Anna Marie Duke on December 14, 1946 in Elmhurst, New York, to Frances and John Brock Duke. At the age of 8, her mother sent her to live with talent managers, who changed her name to Patty, hoping for success. Patty will best be remembered from The Patty Duke show, which aired from 1963-66, where she portrayed the roles of identical cousins. Her rise to fame and notoriety first came when at 16 she played the role of Helen Keller in "The Miracle Worker". She received an Academy Award in 1960 for Best Supporting Actress for her amazing portrayal. At her passing, Patty was married to Michael Pierce for nearly twenty years. She had three sons, Sean Astin, Mackenzie Astin, and Kevin Pearce. 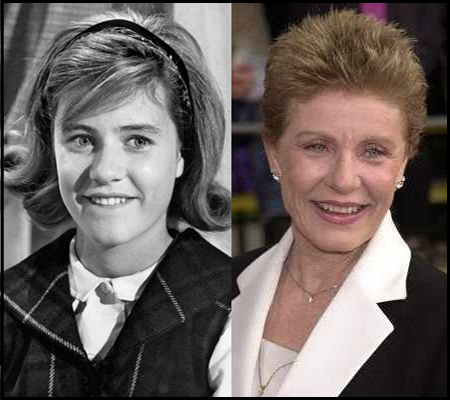 Patty Duke portrayed countless roles on TV shows & movies... including: The Virginian, Valley of the Dolls, Two on a Bench, Hawaii Five-O, Marcus Welby, M.D., The Streets of San Francisco, Captains and the Kings (Mini-Series), The Miracle Worker (TV Movie portraying Ann Sullivan this time as Melissa Gilbert portrayed Helen), The Babysitter, It Takes Two, George Washington (Mini-Series), The Love Boat, Perry Mason, Prelude to a Kiss, One Woman's Courage, Cries from the Heart, Harvest of Fire, Frasier, A Christmas Memory, and many more... plus she won 3 Emmys for her roles on the TV series Touched by an Angel! 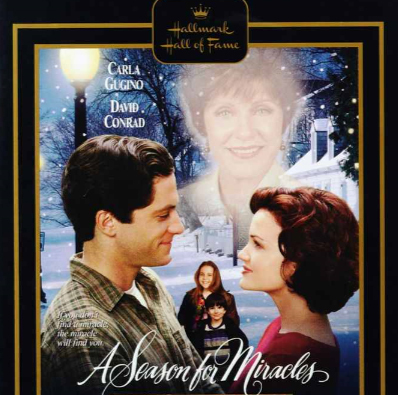 Hallmark movie watchers have also been blessed to see Patty Duke in a number of Hallmark made-for-television movies, including the Hallmark Hall of Fame film "A Season for Miracles" in which she portrays, so poignantly now, an angel. 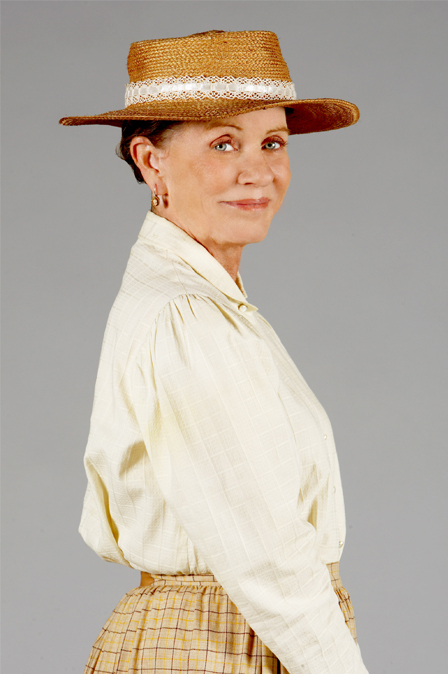 Patty Duke also starred in the fun Hallmark Channel movie "Falling in Love with the Girl Next Door" with Patrick Duffy, Shelley Long, and Bruce Boxleitner, as well as one of the Pioneer Series "Love Comes Softly" films "Love Finds a Home". Ironically her actor son Mackenzie, had a role in the second film from the series "Love's Enduring Promise" and her eldest son Sean, also an actor, had a role in the last film of that series (so far)... "Love's Christmas Journey". 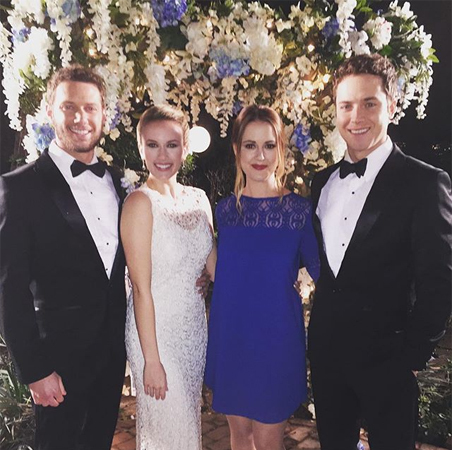 Actress Patty Duke in Hallmark's "Love Finds a Home"
Patty also worked with her son Sean in 2012 on the faith based film, "Amazing Love", which is a touching story of the Old Testament prophet Hosea. 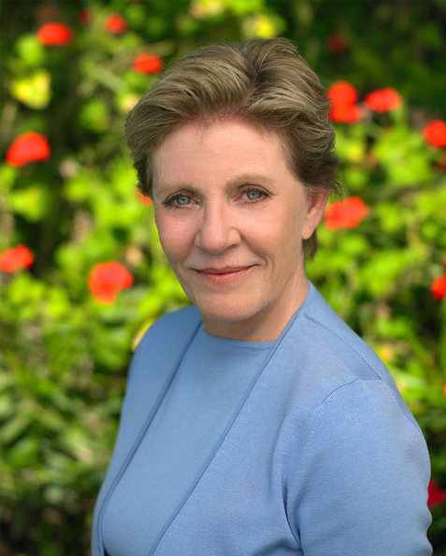 Following Patty Duke's passing her family released this statement, "This morning, our beloved wife, mother, grandmother, matriarch and the exquisite artist, humanitarian, and champion for mental health, Anna PATTY DUKE Pearce, closed her eyes, quieted her pain and ascended to a beautiful place." "We celebrate the infinite love and compassion she shared through her work and throughout her life. I love you mom" added Sean Astin. Our prayers go out now to her dear family and friends, as they enter this new season without their beloved Anna "Patty" Duke. and a time to every purpose under the heaven"
*Where will You stand? * Jesse Metcalfe and Melissa Joan Hart star in "God's Not Dead 2"! 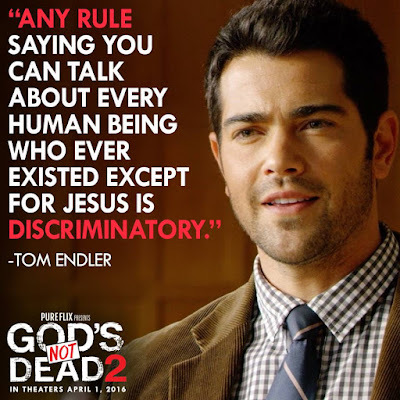 "From the college classroom of GOD’S NOT DEAD to the public square in GOD’S NOT DEAD 2, the name of Jesus is welcomed less and less with each passing day. 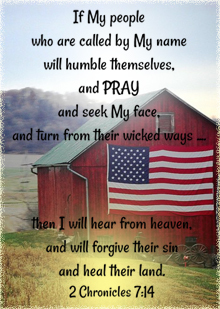 If Christians don’t take a stand today, will we even have a choice tomorrow? 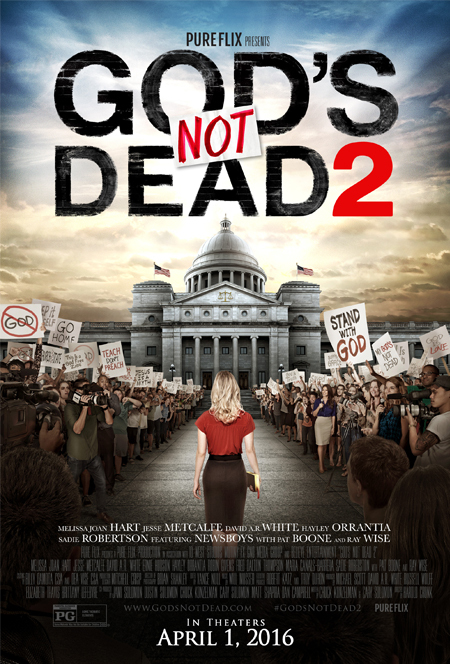 GOD’S NOT DEAD 2 is the highly anticipated sequel to the beloved Pure Flix movie from 2014 and features an all-star cast. 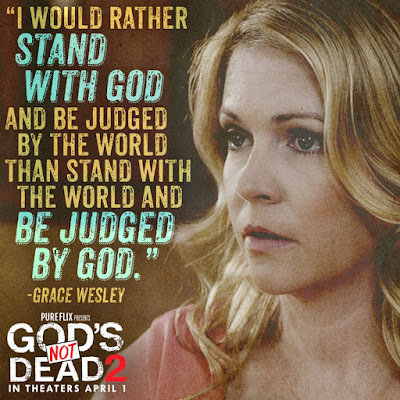 Coming to theaters beginning April 1, 2016, GOD’S NOT DEAD 2 will have audiences standing proudly for what they believe … while they still can. Where will you stand?" I first saw an extended trailer of the movie, "God's Not Dead 2", with my family when we attended the KLOVE Christmas Concert in December, 2015 and I knew I just had to share it with all of you! Let me tell you... the crowd at the concert, which had been extremely loud, talkative, and boisterous, in between a break of waiting for the next music artist to come out, became in a moment absolutely silent, completely absorbed in this powerful story the moment it hit the big screen in front of us. It was evident by everyone's reaction, we were all in awe of this amazing account, based on a real life event, and how it impacts our life today... how we must as Christians and Americans continue to fight for our way of life and religious freedom, before it's too late. Hayley Orrantia ("The Goldbergs"), and many more!!! 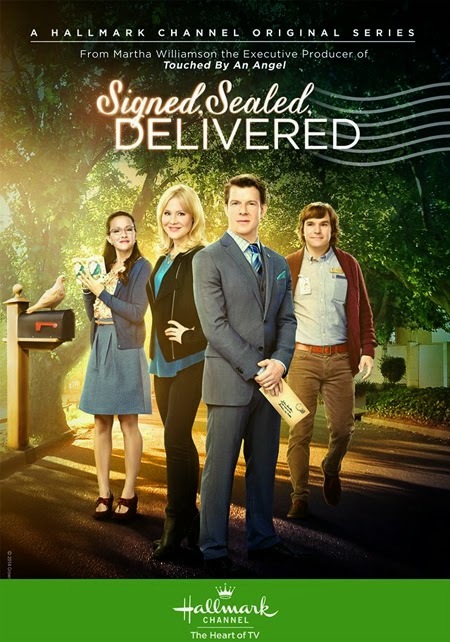 The first movie in this series, "God's Not Dead" was a box office hit starring Kevin Sorbo (by the way, another Hallmark star with movie credits: "Avenging Angel", "Shadow on the Mesa", and "The Santa Suit"), Shane Harper (of Disney Channel's "Good Luck, Charlie"), and Dean Cain (Yet another Hallmark alum, "Operation Cupcake", "The Case for Christmas", etc...). It is an impactful film of faith that takes you through the course of events through many people's lives that don't connect until the end of the story. The first "God's Not Dead" movie is available on DVD. sincerely hope this new movie in the God's Not Dead film series - "God's Not Dead 2", will surpass all of Hollywood's expectations and be even greater than the one before! 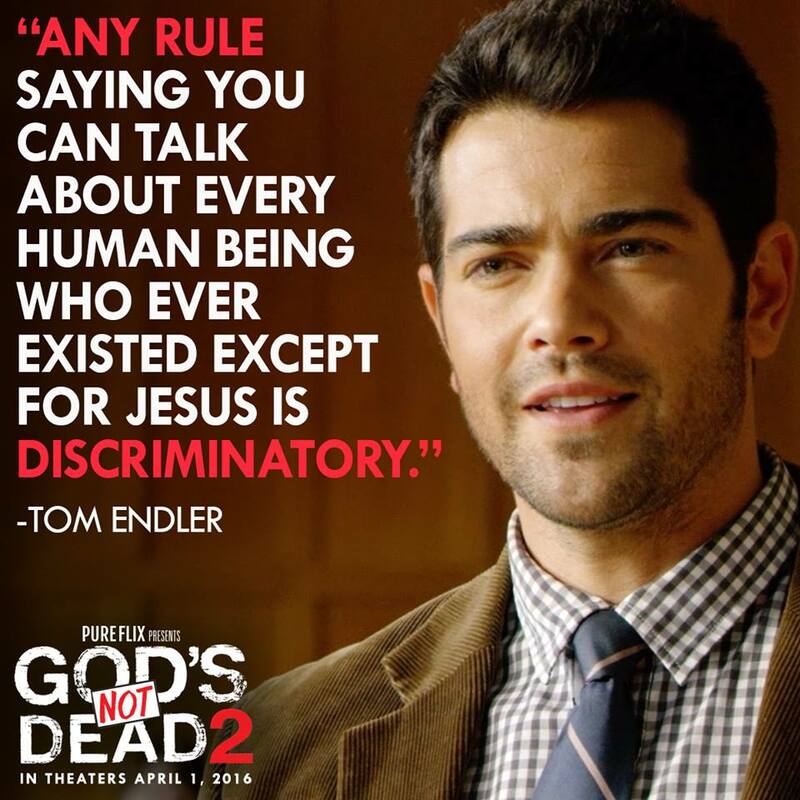 Please check the official web-site here - to see when "God's Not Dead 2" is playing in a theater near you! 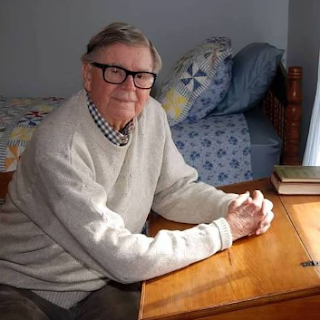 Surrounded by his family, Earl Hamner, best known as the Creator and Narrator of "The Waltons" television series... passed away on Thursday, March 24, 2016 at the age of 92. 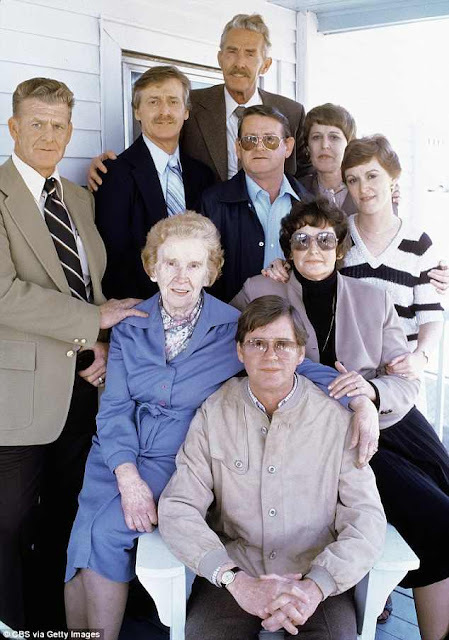 From the beginning, and still today, we devoted fans welcome Earl Hamner's show, The Waltons, into our homes with high regard, knowing each episode will give us a warm, heartwarming family story and values we can always depend on. Based upon his own upbringing and family life growing up, The Waltons in a way over the years have become extended members of our own family. The character of John Boy, on the series was based on Earl's Hamner's own childhood days growing up in Virginia's Blue Ridge Mountains. 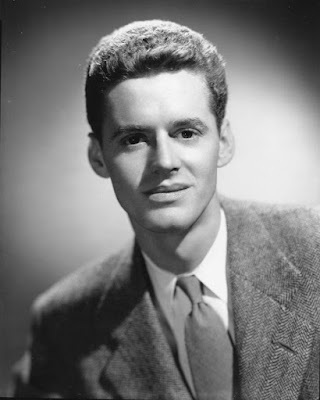 Born on July 10, 1923, Earl Hamner, Jr. was the eldest son of Doris Marion Giannini and Earl Henry Hamner, Sr. Earl would eventually have eight siblings, one more than portrayed on The Waltons weekly television series... Cliff (Jason), Marian (Mary Ellen), Bill (Ben), Paul (Ben), Audrey (Erin), James (Jim Bob), and Nancy (Elizabeth). 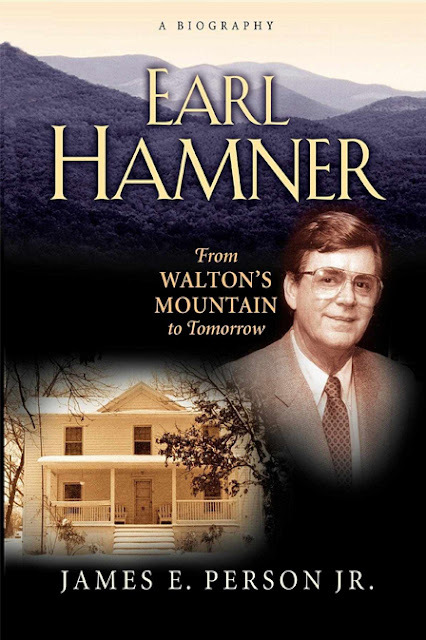 According to Earl Hamner's official web-site, "Money was short, and books were a luxury they could not afford. Their "library" consisted of the Holy Bible, (the King James Version), and a manual of bee-keeping. Doris and Earl strongly encouraged all the children in their growing family to excel, and Earl Jr. became interested in writing at an early age. He was writing his numbers at the age of two and reading at four. His poem "My Dog" was published on the Children's Page of the Richmond Times-Dispatch when he was six. Earl claims he knew he was going to become a writer from that day." 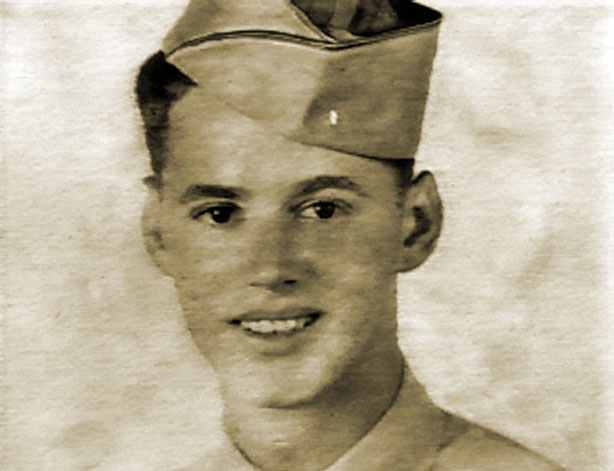 While studying at the University of Richmond, in 1943, Earl was drafted into the army. "Hamner then spent several months at the 19th Replacement Depot in England learning how to diffuse land mines, one of the most dangerous of Army jobs." via his bio. "Two months after D-day he landed on Omaha Beach, and, because his officers had discovered that he knew how to type, he was re-assigned to the 542nd Quartermaster Corps which he served in Paris. He loved Paris, learned to speak French, and made friends with the French people including a special girl named Jeanine. It was here, after the end of the war, that he began in earnest sending off stories for publication and amassing rejection slips." Earl's own life experiences during the depression were the basis for his writings and the eventual Waltons TV show, beginning with his novel, The Homecoming, which first became a Christmas TV Special. 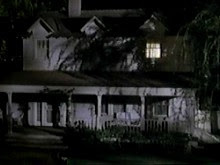 Before the success of The Waltons, however, he wrote episodes of The Twilight Zone, and the movie Spencer's Mountain was based on his novel. Earl Hamner married Jane Martin in 1954. They had two children, Scott and Caroline. Both had roles, as teenagers, in The Homecoming Christmas Special when it first appeared on TV, CBS, in 1970. 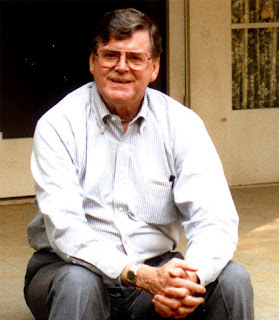 Writing was a part of Earl Hamner, all of his life, from that first moment he learned to read at a young age of 4. At a time, when a man, or even a young boy, was expected to work with his hands and money was scarce, I would say that was quite fortuitous of his parents to instill the love of learning at such a young age, especially in that day and age, where times were truly hard. If you would like to know more about Earl Hamner's life, writings, and TV shows, I encourage you to visit Earl's web-site, and read the tribute given there, written by Earl's devoted friend, James Person, Jr., who wrote Earl Hamner's Biography, Earl Hamner From Walton's Mountain to Tomorrow. 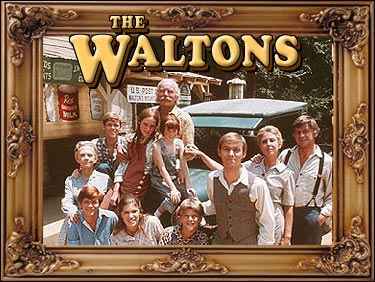 The Waltons series began in 1972 and ended in 1981. 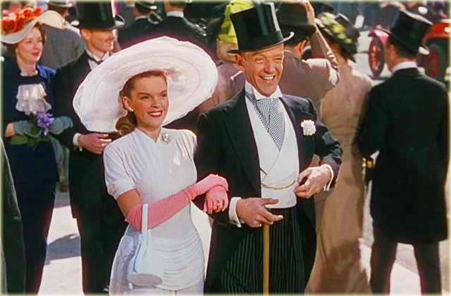 Six Reunion movies followed, with the last one airing in 1998, A Walton Easter. The INSP web-site gave a wonderful tribute to Earl that includes heartfelt, touching statements from The Waltons cast members. 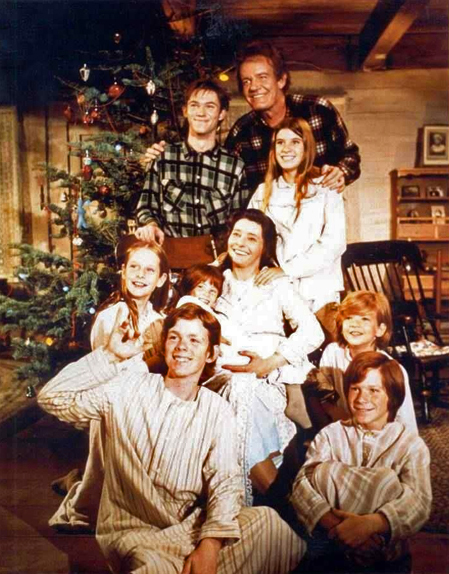 Thankfully, we can continue to watch The Waltons every weekday on the INSP television network and hear the amazing voice of Earl Hamner narrating the story. 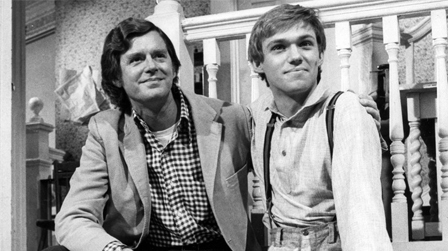 Our thoughts and prayers go out to Earl Hamner's dear family, friends, and the cast members of The Waltons, who I know are like family. 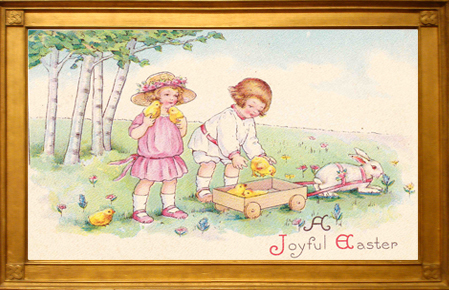 A Joyful *Happy Easter* Weekend to All of You + Easter Specials on TV! From Good Friday to Easter Sunday UP will be airing stories from the Bible. Mary, Mother of Jesus - at 5pm/4c. 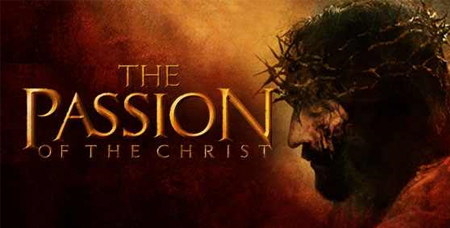 The Passion of the Christ - at 11pm/10c. 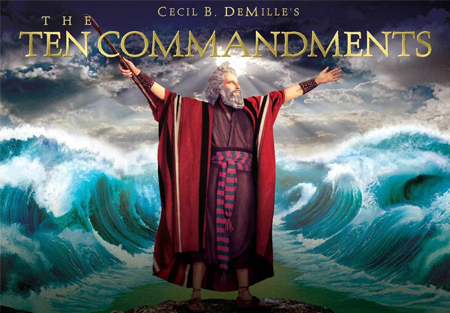 The Ten Commandments - at 12:30pm/11:30c. The Greatest Story Ever Told - at 4:30pm/3:30c. The Passion of the Christ - at 9pm/8c. Mary, Mother of Jesus - at 1am/12c. Check your local station for time airing! Due to popular demand, Karen Kingsbury’s The Bridge Part 2 at 7pm/6c. 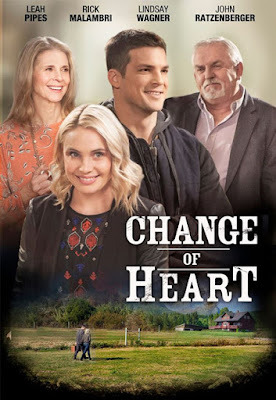 will premiere for the first time on the Hallmark Channel! A Christmas movie in March - and on Easter Sunday, no less! Click Here for more details on Karen Kingsbury's The Bridge Part 2. 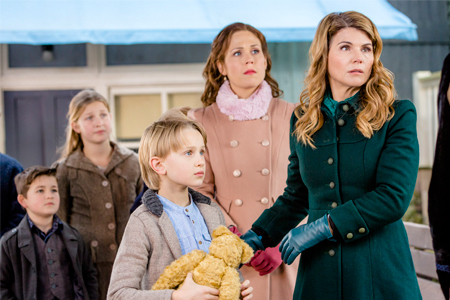 When Calls the Heart, titled: Heartbreak at 9pm/8c. 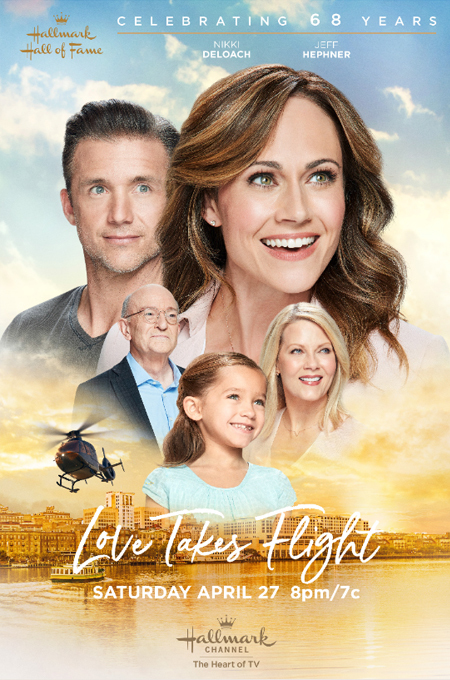 Storyline via Hallmark: "Abigail is reeling from the unexpected arrival of Becky and Cody's aunt, who has already made plans to take the children home with her." Click here for more details on When Calls the Heart, Season 3! Click here to see the complete order and details of all the Love Comes Softly Movies. King of Kings at 5:15PM/4:15c. 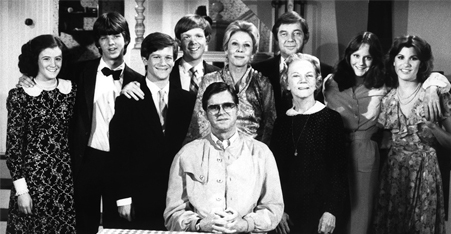 see The Waltons Easter Story Part 1 and 2 at 3pm/2c. and 4pm/3c. Jesus of Nazareth at 12:30 PM/11:30c. See it on Good Friday– March 25, 2016 at 10:30pm/9:30c. 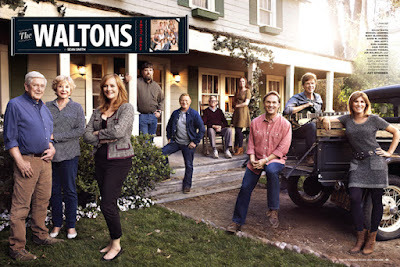 An Easter themed movie, sadly not being shown this year, is The Waltons last reunion movie "A Walton Easter". It is a very nice family movie that is typically shown each Easter. It is, however, available, thankfully on DVD. Also... Unfortunately, as many of you already know, there is not a listing this year on ABC, or any other station, for the Charlie Brown Easter Special, “It’s the Easter Beagle, Charlie Brown”. I know all Charlie Brown episodes are something truly special and dear for each holiday, so the whole Peanuts gang will be wholeheartedly missed this Easter Season. 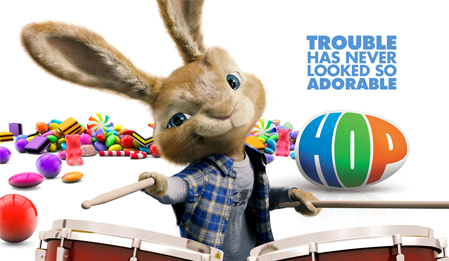 You can, however, see the animated movie HOP on Freeform (formerly ABC family) - March 26, 2016 at 10:30pm/9:30c. And, on Easter, March 27, 2016 at 3:30pm/2:30c. and repeats at 10pm/9c. The Disney Channel will also air HOP, as it has several times this week, once more on Friday March 25 at 5:20pm/4:20c. on Disney Channel at 7am/6c. on Disney Jr. at 7:30am/6:30c. on Disney Channel at 10am/9c. on Disney Jr. at 6pm/5c. on Disney Jr. at 9:30pm/8:30c. on Disney Channel at 8am/7c. on Disney Channel at 11am/10c. on Disney Jr. at 12pm/11c. on Disney Jr. at 8pm/7c. 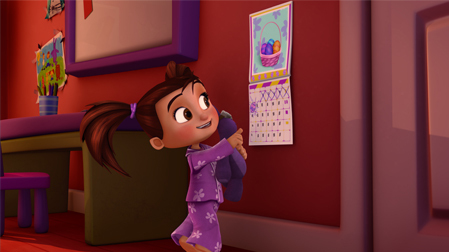 Kate and Mim-Mim: "Mim-Mim's Eggscellent Easter"
See it this Weekend on Disney Jr. 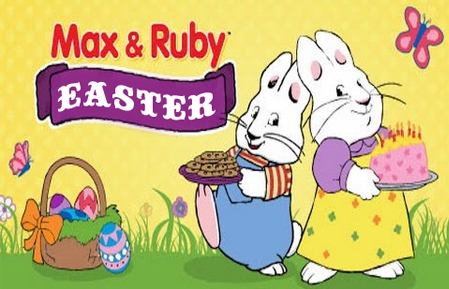 There are also several adorable Easter themed Max and Ruby Cartoons airing this Easter weekend on Nick Jr.
You may also find Religious Easter Cartoons on TBN on Saturday Morning, March 26th. It's March 25th - 9 months 'til Christmas!!! 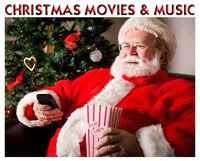 If you are looking for any news on Christmas Movies - you have come to the right place! Wow! Can you believe it? So many New Christmas movies will be birthed and delivered in the course of these 9 months from now until Christmas! Cynthia Busby in “A Puppy for Christmas” (wt)!!! 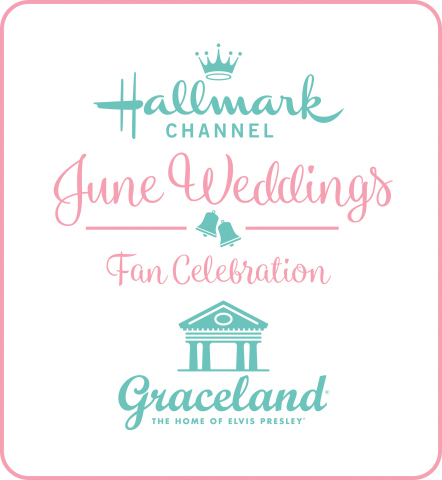 And, with Hallmark and UP typically starting the airing of their movies, either late October or early November... that means we are around 7 months away from the season beginning! Oh my! (*sigh*) While we enjoy Easter, this first week of Spring, and a whole new season, let's also look forward with great anticipation to everything ahead for a brand New Christmas Holiday Season! I have a Christmas Movie page I am updating all throughout the year - with any Christmas movie news I find, or news you all share of potential, upcoming Christmas movies coming this Year! Was "When Calls the Heart: New Years Wish" one of your Favorite Movies in 2015? 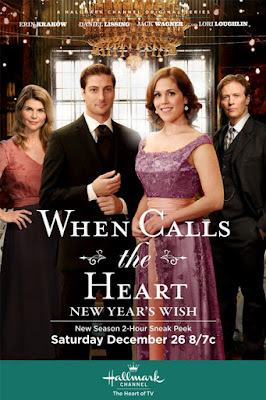 I have added "When Calls the Heart: New Years Wish" as an extra nominee in our vote for Favorite Family Movie for 2015! Your vote will determine where it will rank among the other nominees. Click here to see the other nominees! And, don't forget to VOTE in the TWO POLLS in the right column! If you are using an iPhone or IPad, be sure to scroll down near the bottom of this page and click view full web version to vote in the poll. *Hop* to It ... *Spring* into Action ... *Easter* is Coming!!! *Spring*, with all it's Promise is finally here and *Easter* is only days away! And, YES, you should be able to get these things in Time - with Prime, if you Spring into Action Today!!! Plush Easter Basket, Easter Bunny, Easter Egg, and Easter Baby Chick! only what is in your heart! a very Happy and Blessed Easter Sunday!! !